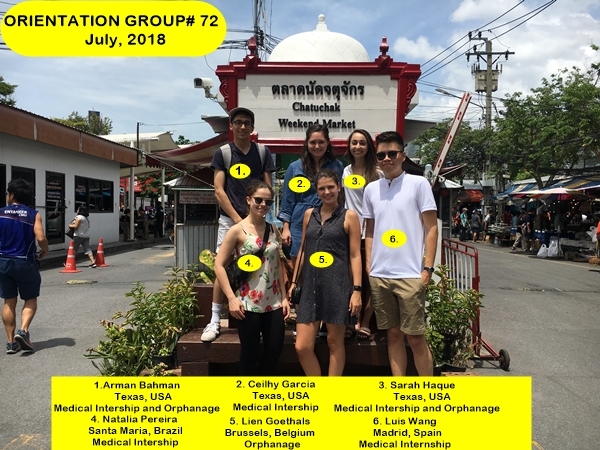 Presenting Bangkok Volunteer and Intern Group #72! This group of 6 volunteers and interns are from Belgium, Spain, Brazil and the USA, and are participating in our Medical Internship and Bangkok Orphanage Volunteer Project. The group arrived on Friday, completed orientation over the weekend and started their projects on Monday. For a list of our different volunteer and intern projects, please visit our projects page.